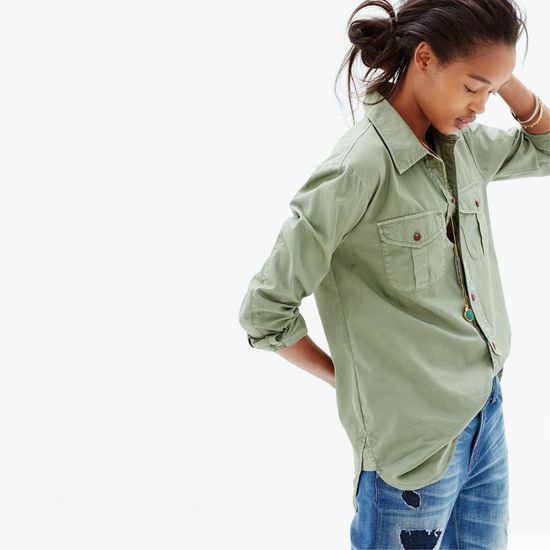 Try a half tuck with your favorite button-down shirt for an instant injection of cool. Just let one side hang loose and tuck the other into your waistband. Stack jewelry on the wrist on the tucked side to balance out the style. Throw in a belt if you want to. Or don’t. That’s ok, too. And then own that look like you paid a million dollars for it. You’re right, you would have to own it! Otherwise it would be questionable, very questionable.